High-quality protein supplement with minimum amounts of lactose, a great aminogram and refined taste! 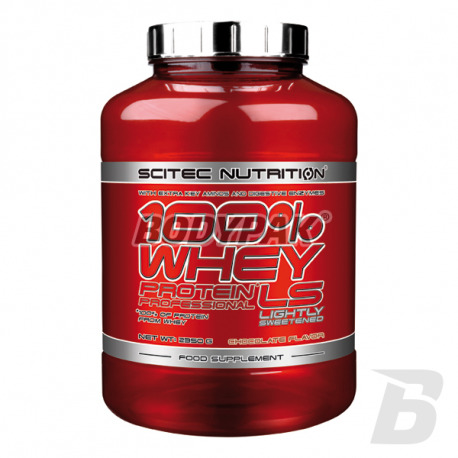 100% Whey Protein Professional LS is an excellent quality whey protein blend with whey concentrate and whey isolate. LS is a lightly sweetened version with less intense flavoring. Dietary proteins are the source of nitrogen and indispensable amino acids, which the body requires for tissue growth and maintenance. Therefore 100% Whey Protein Professional LS contributes to the growth and maintenance of muscle mass, and also to the maintenance of normal bones*. Whey protein from milk is a so-called complete protein, because it provides the body with all the necessary types of amino acids, including the 9 amino acids the body cannot synthesize and must be supplied by the diet (i.e. Histidine, Isoleucine, Leucine, Lysine, Methionine, Phenylalanine, Threonine, Tryptophan, Valine). 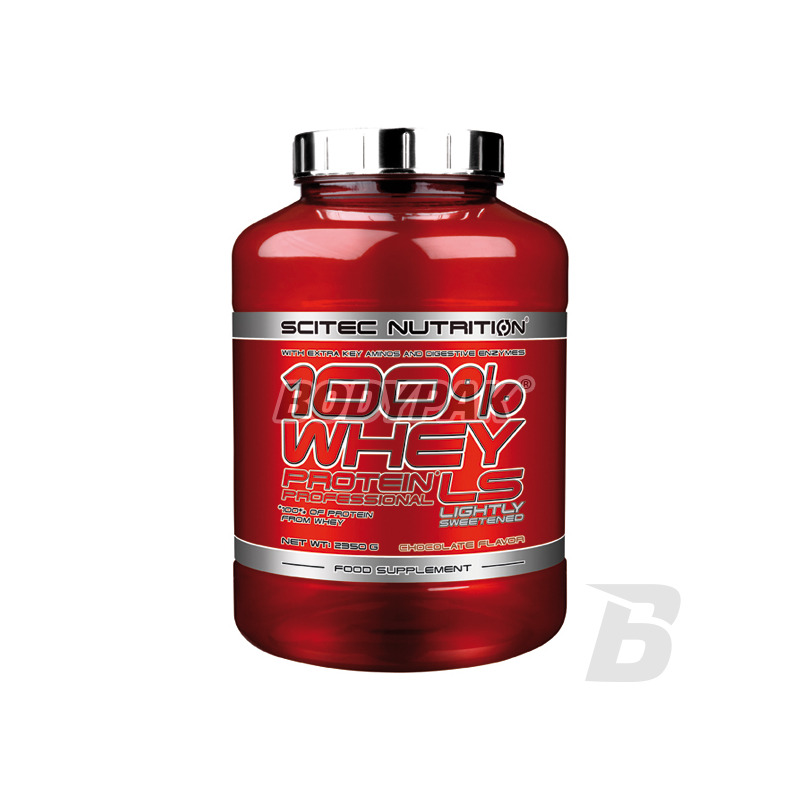 100% Whey Protein Professional LS has more added components: an “Amino Acid Matrix” that provides popular extra amino acids, namely L-Leucine, L-Glutamine and Taurine. Also, the digestive enzyme blend of Papain and Bromelain is included in our formula! *These statements have been scientifically proven and authorized by the European Food Safety Authority (EFSA) and authorized by the European Commission (EC). Dissolve 1 serving (30 g) in 250 ml of water, milk or other liquid. Consume after exercise (eg.). Ingredients: whey protein concentrate (made from milk Emulsifier: lecithin ) containing fractions were milk ; lactoglobulin, lactoferrin, lactalbumin and immunoglobulin cocoa powder with reduced fat content (10-12%), taurine, dextrose, flavor (chocolate), L-glutamine, L-Leucine, thickener (xanthan gum), Dymatize Isolate whey protein (made from milk , emulsifier: soy lecithin ), sweeteners (Acesulfame K, Sucralose), bromelain extracted from Ananas comosus (1200 GDU / g), Papain obtained from Carica papaya (1.5 U FIP / mg). Bardzo dobre białeczko w znakomitej cenie. 173zł za prawie 2,5kg czystego białka. Polecam !